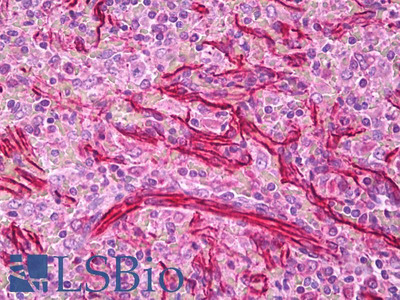 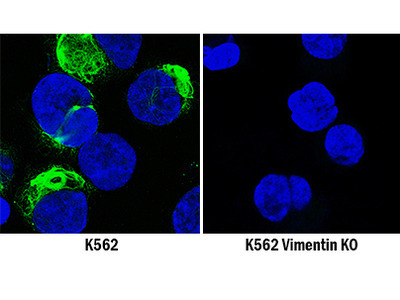 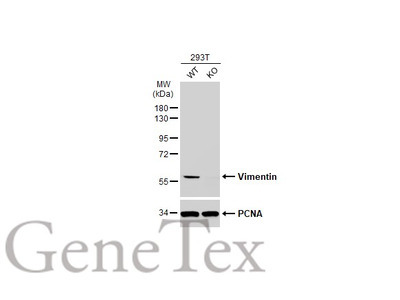 Vimentin is a 54 kDa nucleus protein-coding gene expressed in mesenchymal cells; Antibodies to Vimentin can be used to study sarcoma tumor markers. 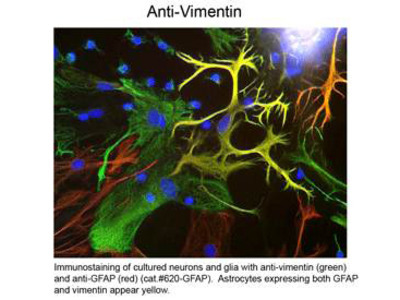 Vimentin, also known as CTRCT30, is the full name of VIM. 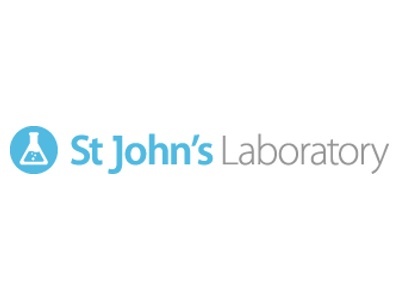 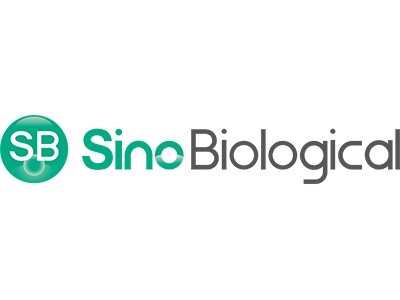 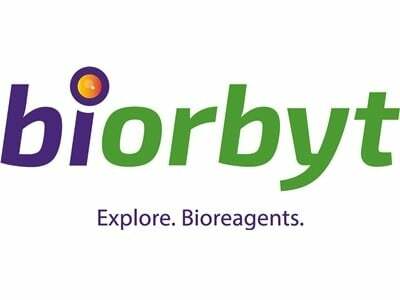 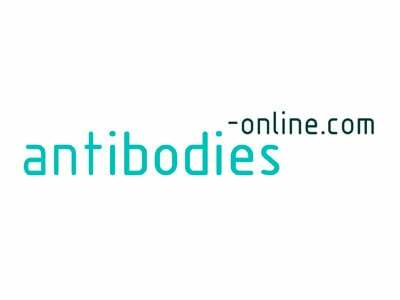 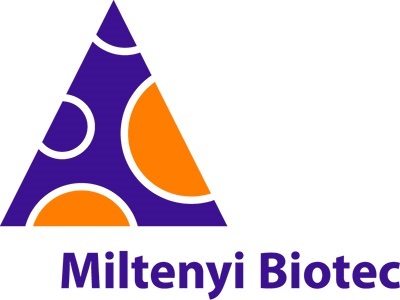 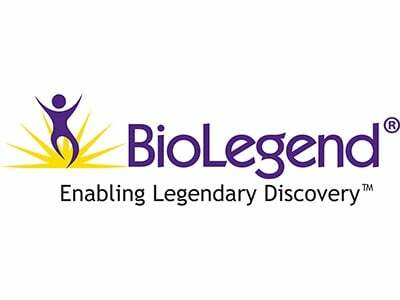 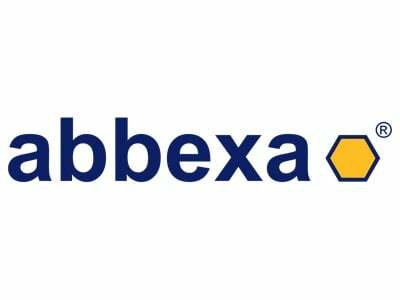 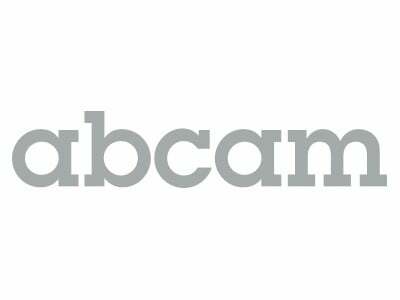 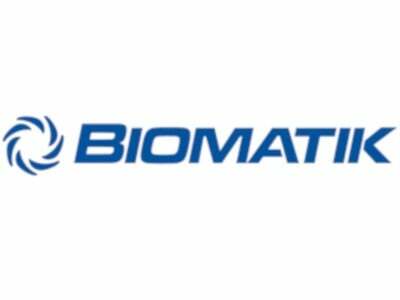 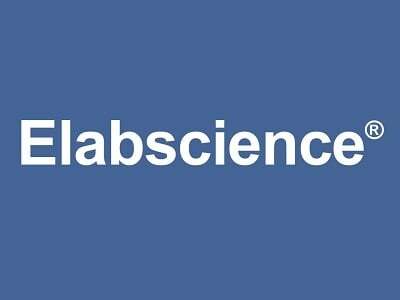 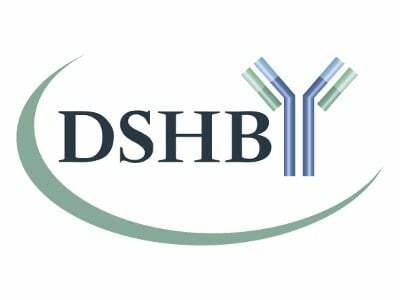 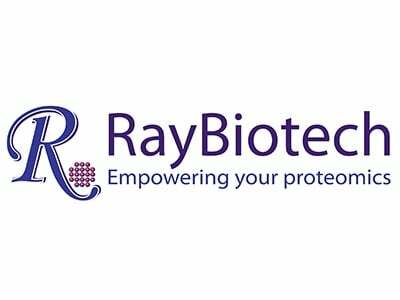 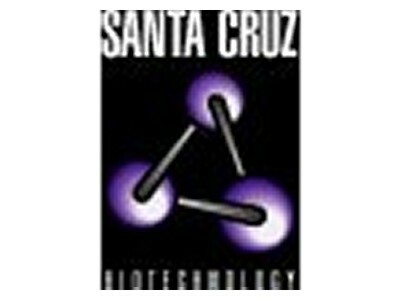 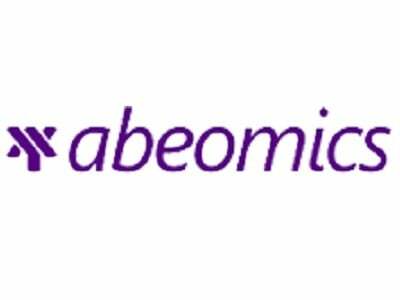 Your search returned 2035 Vimentin Antibodies across 66 suppliers. 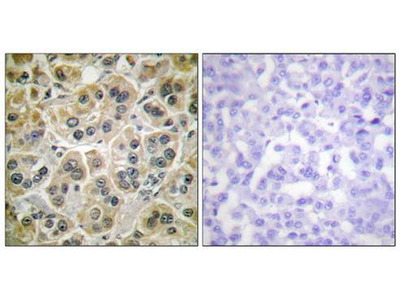 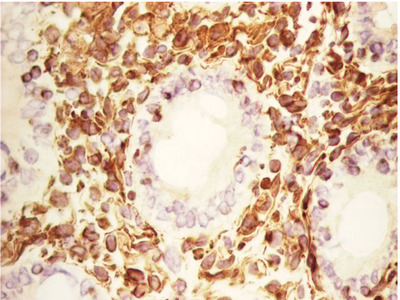 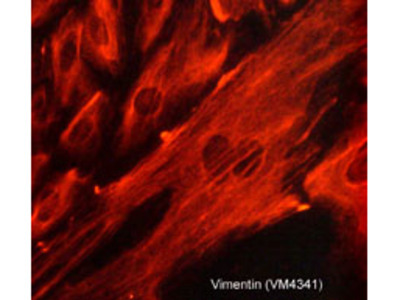 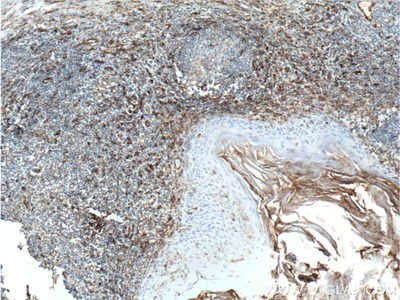 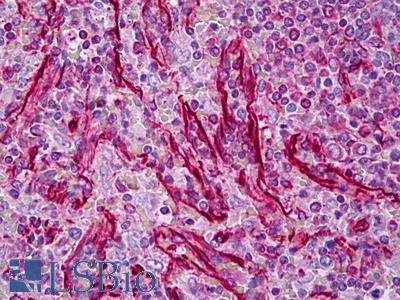 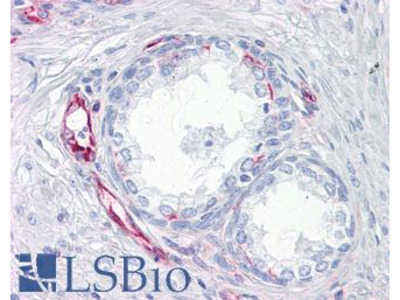 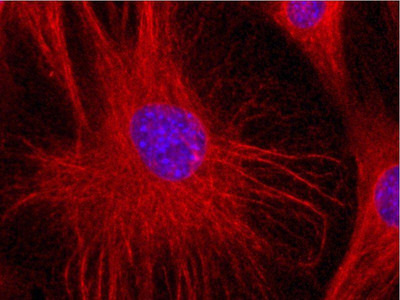 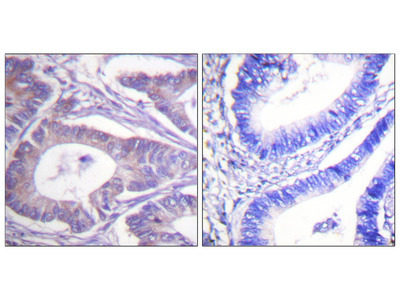 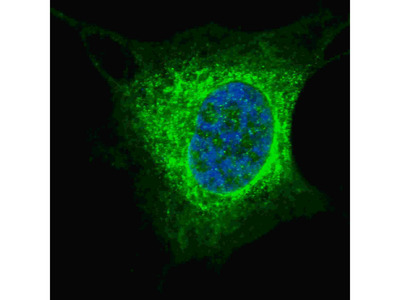 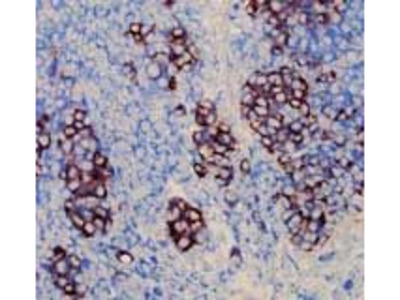 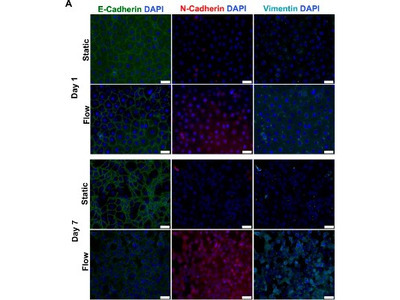 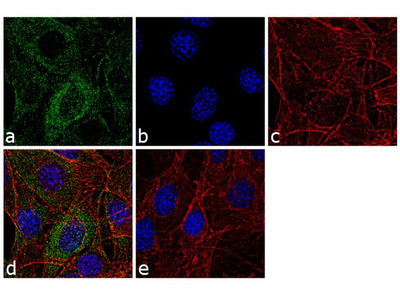 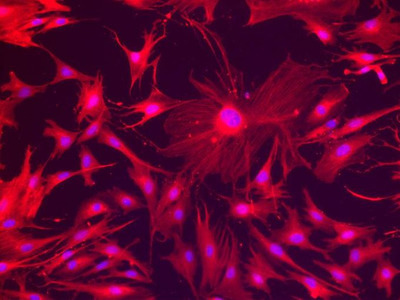 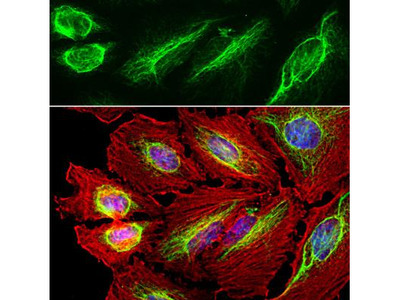 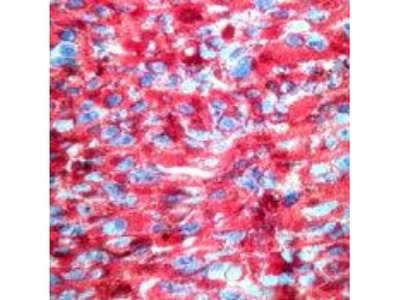 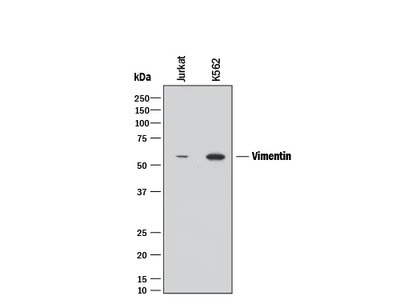 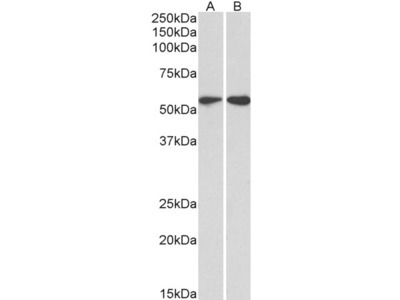 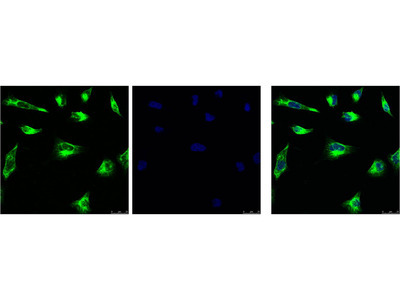 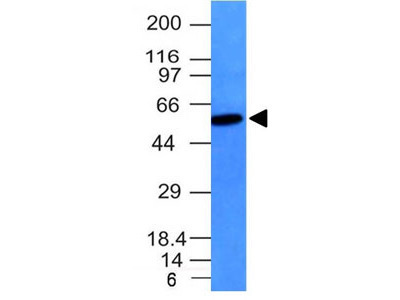 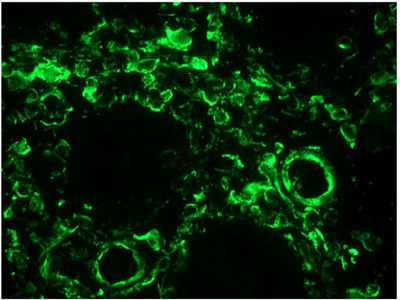 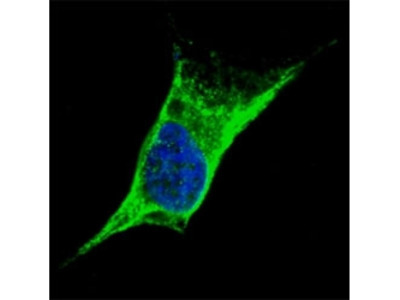 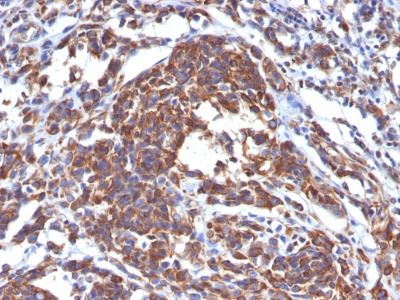 This polyclonal chicken anti vimentin antibody works well to stain fibroblasts in mouse skin. 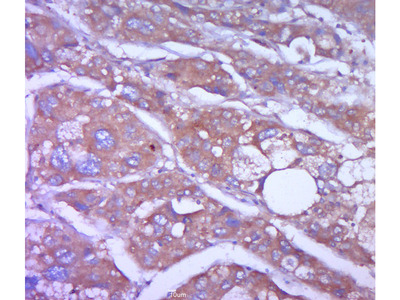 Less background compared to other tested antibodies. 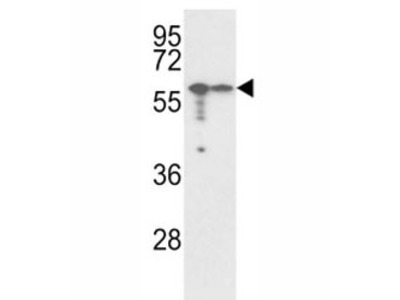 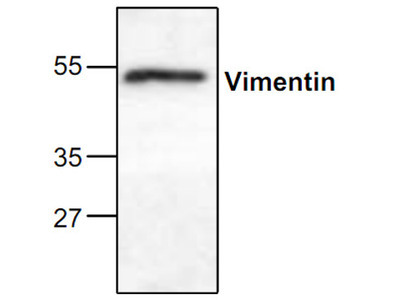 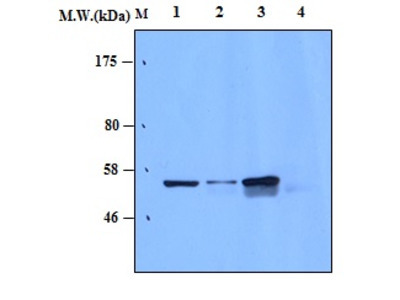 This antibody was used to detect Vimentin expression in MG63 cell line by western blot analysis.